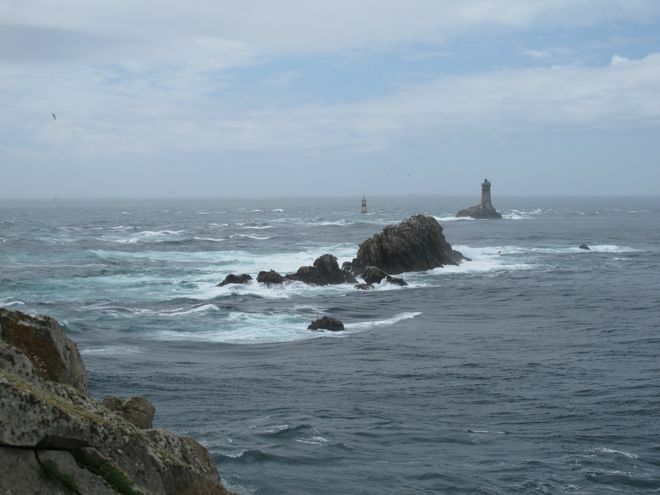 Plouhinec west of Quimper was our second Brittany filming destination. I tested Air BNB and found a modest three-bedroom house overlooking a sandy cove, down the road from the fishing port of Audierne. Stringent coastal zoning no longer permits construction close to the shoreline, but the owners of the house we rented are seeking permission to add on a needed second bathroom on the upper floor. With that addition, I would highly recommend it for two couples or a family with small children. The location, delightful view and price can’t be beat, and for those who enjoy cooking, the kitchen is well equipped. A Franco-British couple owns it and Sue the booking member of the couple and her trusty housekeeper couldn’t be more accommodating. Dining options in Audierne were limited. The tourist season is evidently short. A 9pm midweek reservation is last call, and there was no sign of nightlife along the waterfront. Crêperie An Teuzar, on Quay Camille Pelletan overlooking the harbor serves the best crepes I’ve eaten anywhere. Their Terre et Mer with scallops, lardons and mushrooms in a savory crème fraiche sauce was scrumptious, and at €7,50 a bargain. Jeffrey had smoked magret with apples and onion confit favored with red currents; a satisfying sweet and sour combo served with a salad. They have good cider on tap along with a bottled selection. Dessert crepes favor the ubiquitous caramel a beurre salé. Jeffrey went for the works: caramel, pears, dark chocolate, a scoop of vanilla ice cream and crème Chantilly. Guaranteed sugar shock. Dinner the following night at the Hotel Goyen restaurant was a more formal, white tablecloth experience. It is a member of the Chateau&Hotels collection and I’d found it in the group’s little pink Carnet Gourmand. There is a choice of several four-course menus with entre mets, but they could offer more seafood options. I find the hushed ambiance and rituals of traditional service tiresome unless the level of cuisine really merits it, especially when the table overlooks a working fishing dock. Served with less solemnity in a more relaxed ambiance, the meal would have been more enjoyable. The Brittany brand is stronger than ever and its list of exports is impressive – cakes, crepes, butter cookies, cider, canned and fresh fish, dairy products, pork, potatoes, and a cornucopia of vegetables. The region also boasts a vigourous industrial base. The best known of its native sons is industrialist François Pinault, who recently confirmed his loyalty with the purchase an 8 million euro holiday villa in Dinard. It didn’t take me long to reach saturation point with those cakes, crepes, butter cookies and cider – plus little Monopoly-style white washed concrete houses with slate roofs, navy rubber boots and striped marinière anything. Happily there remain plenty of treasures I can’t get enough of – including the craggy coastline, wild purple lupins, hydrangeas, beurre de baratte, standing stones, grey granite cottages with blue painted shutters and the fresher than fresh mollusks and seafood. 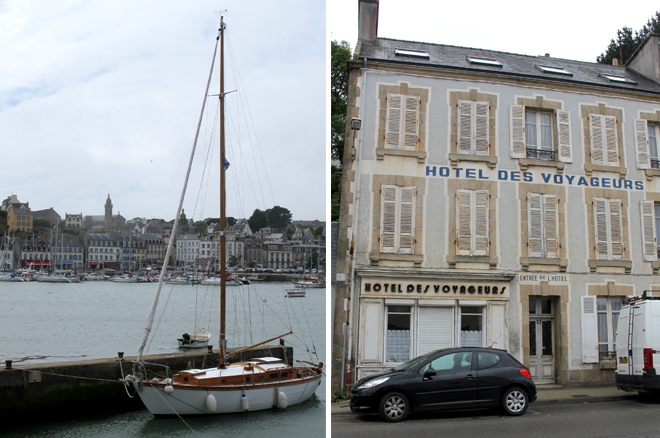 Ultimately, what I admire most about Brittany is its authenticity and lack of pretension. It isn’t about to roll out the red carpet to attract tourists and that’s what brings them back. * According to a TMO survey conducted in 2007 by Fañch Broudig.